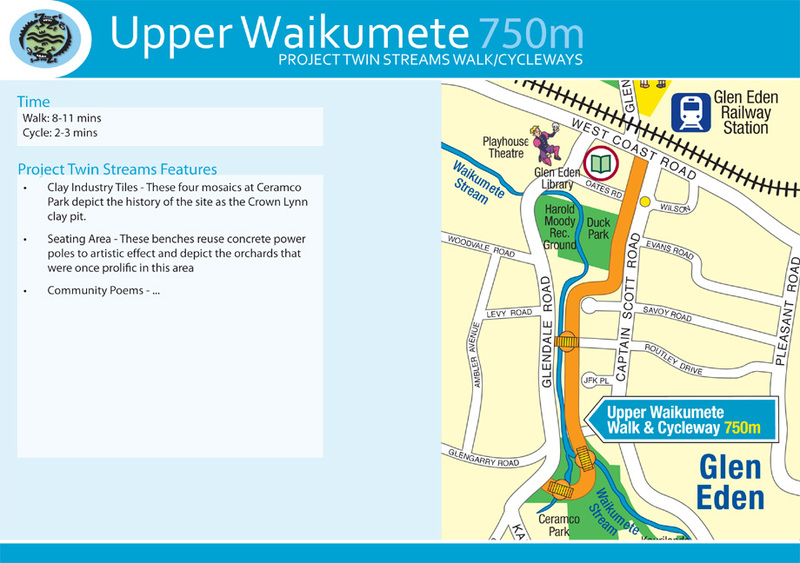 The Upper Waikumete Cycleway runs between Savoy Road and Ceramco Park. It follows the Waikumete Stream including our wonderful streamside areas that we have been restoring over many years. From Ceramco Park, this also links up to the walkway through Kaurilands Domain to Atkinson Road. This entire stretch is a family friendly taonga (treasure) nestled in the natural environs of Glen Eden. If you haven’t experienced it as yet, do come for a visit.